A.I.M. Fitness – Activities in Motion, are experts when it comes to helping individuals achieve their fitness goals. Through specialized programs, A.I.M. Fitness is eager to provide fitness solutions for any lifestyle and age. Specialty programs are offered to a variety of individuals ranging from pre/post natal women to seniors, including those who just completed physiotherapy. A.I.M. Fitness is driven by their vision to inspire physical activity at any life stage through motivational support and positive environments. A.I.M. Fitness is such a unique personal training service as they are mobile. Clients are able to utilize in-home training sessions, skype sessions, or attend various indoor/ outdoor group classes. A.I.M. Fitness is committed to their clients’ success and seeks to ensure clients feel their absolute best. A.I.M. Fitness serves to personally connect with their client and help achieve their fitness needs. For more information or to set up a complimentary consultation, visit their website. The 2016 line up of vendors for the Ottawa Health and Wellness Expo is shaping up to be one of our best years to date!! Once again, the variety of vendors that are participating ensures that the event will once again provide quality health and wellness products, services and information to our city. We want everyone to know more about who our vendors are and how their business fits in to the Expo’s passion for seeing Ottawa the healthiest city in Canada. Between now and the Expo, we will be highlighting some of these amazing vendors. Stay tuned to our blog as we feature our vendors in a special vendor spotlight blog. What type of client benefits most from using your products and services? At Pole Etcetera Dancing studio we don’t divide or treat customers different from each other. We enjoy working with all our clients. We treat all of our clients as members of our family, treat them with respect, give them the attention they need to succeed in their training regardless of what target they set for themselves: Get fit, learn new tricks and moves, extend their flexibility or just have fun during the class. Pole Etcetera is new Dancing and Fitness studio that recently opened its doors in the heart of Orleans at 2034 St. Joseph. Blvd. We’re proud to share our passion to the art of Dance with Orleans residents. We offer wide variety of Dancing and Fitness classes. Our unique features are Pole Dance and Aerial Silks classes. Every year women around the world show increasing interest in Pole Dance and Aerial Silks. 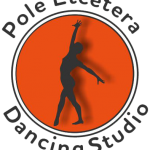 Pole Etcetera Dancing studio we want to make sure that residents of Orleans will have an opportunity and studio to learn and practice Pole Dance and Aerial silks. We’re offering the most advanced equipment, competition grade poles and professional silks for classes and practice sessions. 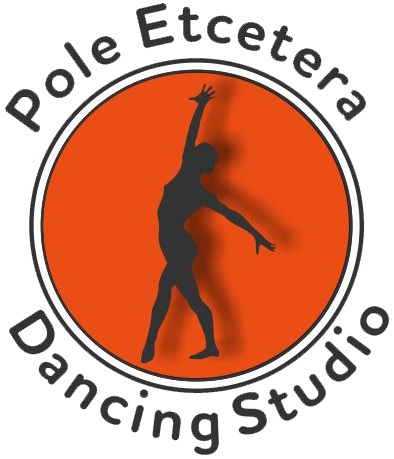 Pole Etcetera Dancing studio is unique and one of a kind located in Orleans. We offer Pole Dance and Aerial Silks classes, something that no other fitness or dancing studio offers in Orleans and area. Our main features are: Roomy and bright studio, huge mirrors, the newest and the TALLEST competition grade poles with both static and spinning mode, the studio is location is easy to find and quick to get to, we also have lots of free parking for all our clients. Besides advanced equipment and convenient location we’ve got best instructors working here. They possess experience and knowledge to turn dancing class in perfect workout and fun keeping clients in safe from injuries environment. Teaching in smaller than regular fitness studio groups we strive to provide more personalized approach to each member of our studio. Come for our intro class to see how the art of Pole Dance and Aerial silks will help you to get fit, have fun and stay well toned and healthy. The 2014 Ottawa Health and Wellness Expo is fast approaching and we are excited with this years vendor lineup. The variety of vendors that have already signed up ensures that this years event will once again provide quality products, services and information to our city. We want everyone to know more about who our vendors are and how their business fits in to the Expo’s passion for seeing Ottawa the healthiest city in Canada. Between now and the Expo, we will be highlighting some of these amazing vendors. Stay tuned to our blog as we feature our vendors in a special vendor spotlight blog. Fitness For Freedom is a mobile personal training company, that means we go to our clients homes and offices. We travel all around the city of Ottawa and suit or services to meet your needs and busy schedule. Patenaude Martial Arts has been a family run business since 1975, the whole family is involved and we operate 25 schools in Ontario and Quebec. We have classes for the whole family. Learn MMA/Sanshou, Kung-Fu, KickBoxing, Self-Defense, Women’s Self Defense, Weapons, Eskrima, Wing Chun, Jeet Kune Do, Jiu-Jitsu, Sambo, Judo, Catch Wrestling and Much More! DownsizeFitness is the world’s first overweight-only gym that makes weight loss fun and provides real results. In just a year, our members have lost more than 5,500 pounds! I’m a fitness and nutrition coach. But more on point, I’m in the business of creating happiness. 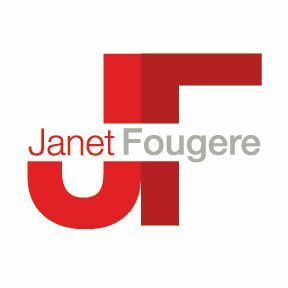 I love helping women build a more confident, fitter and more empowered version of themselves!